when the chemistry is introduced in CBSE class 9, a quite an easy to handle, only a few things are introduced at that in CBSE class 9 chemistry? they are like its too tough and I don't get it anyway, I don't understand the way the teacher teaches chemistry to us. I don't think it's a teachers fault at all, if you are in CBSE class 9, then you must understand a few things. what's the problem with class 9 chemistry? 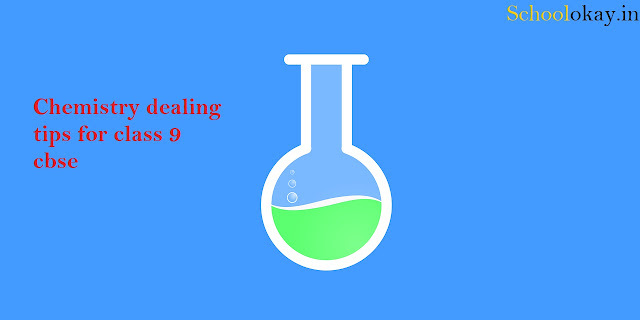 If the CBSE class 9 chemistry is getting difficult for you then it means you have not paid enough attention in your class CBSE class 8. don't worry each problem has the solution? probably only few topics are important for CBSE class 9 chemistry these are ? First, you need to learn periodic table till 1-20. Atomic masses of all the atoms from 1-20. Chemical symbols of atoms from 1-20 from your NCERT textbook of CBSE class 9 chemistry. Chemical formulas of chemical compounds. Charts and tables of CBSE class 9 chemistry for NCERT textbook. I will not say,solve more questions of CBSE class 9 chemistry? because it's obvious,if you want to know, weather you are getting something or not you must start solving questions ? all the below are the chapters of NCERT class 9 textbook you need to cover them all more than 3-4 times before going for CBSE exams 2019. CBSE is not going to ask question from anywhere else, its totally wrong that students says questions are asked from somewhere else, I have never seen these in NCERT book ? What is a suspension solution? HOW TO LEARN CBSE CLASS 9 CHEMISTRY FORMULAS? Probably most of the students get troubled with formulas in class 9 cbse chemistry, they like sir how can i learn formulas, i forget then every time, what should i do for that ? sir i am not getting mole concept CBSE class 9 chemistry, yaar numericals of NCERT text book of class 9 cbse quite tough to do. You must have read it,human mind always get things when they are repeatedly happening. so for learning formulas of class 9 chemistry you just need to write then again and again because you don't have many thing to in CBSE class 9. Their are only few differences between a topper , average and a failure student, some students gets thing earlier than,others,because they cracks coding of mind and they constantly do things in a repetitive manner and get appropriate results on time. Do not miss lecture CBSE class 9 chemistry thou you are not getting anything. Stay regular and punctual to your NCERT text book class 9. Complete your NCERT book first? All your subjects are important to your future. CBSE class 9 chemistry mole concept you will get again in class 11 also. Do not feel ashamed of asking any question, when you are attending your CBSE class 9 chemistry. class 9 is the base of every class. and it also play a important role in your competitive exams, pay full attention to the teacher and listen to what he/she is teaching about ? we are working at schoolokay to provide you right guidance about your school and tips for to make schooling easy for you. class 9th Q and A how to ?